Come March 15, USU Eastern will be well on its way to a facial makeover. Knock on wood. “Things are looking good, there is a level of understanding and support that is higher than it ever has been,” said Chancellor Joe Peterson, Tuesday. 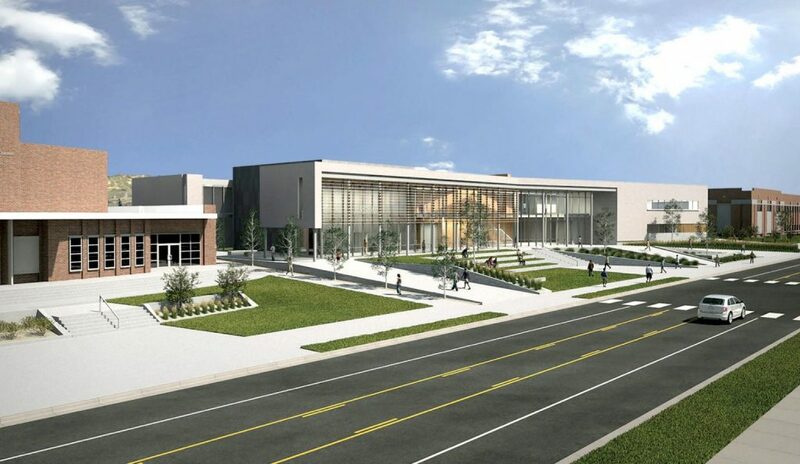 Significant lobbying to the Utah State Legislature has taken place on behalf of the new Central Instruction Building. Peterson, along with Stan L. Albrecht, President of USU Logan, made several trips to Capitol Hill, vying for state funds, a figure near $21.5 million. The CIB, as it will be abbreviated, will feature a state-of-the-art glass exterior on the south side of the building, facing 400 North. Rustic metal and limestone will make up the remaining surfaces. From an onlooker’s perspective, the CIB (soon to be the largest building on USU Eastern’s campus) will appear to have three separate and distinct buildings inside its interior, each housing various departments. Music and theater departments are to have their own sections within the CIB, as well as other auxiliaries, like The Eagle newspaper, criminal justice and arts departments. The building will feature flooring homogeneous with the pavement directly outside of the facility, allowing for an impressive transition and feel as students and faculty pass through campus.